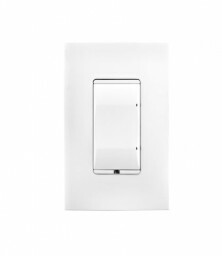 Get on/off control for virtually every type of load, including LED lights, incandescents, halogens, electronic low voltage (solid state) transformers, magnetic (iron core) low voltage transformers, fluorescents, compact fluorescents, and motors, including ceiling fans and bathroom ventilation fans. 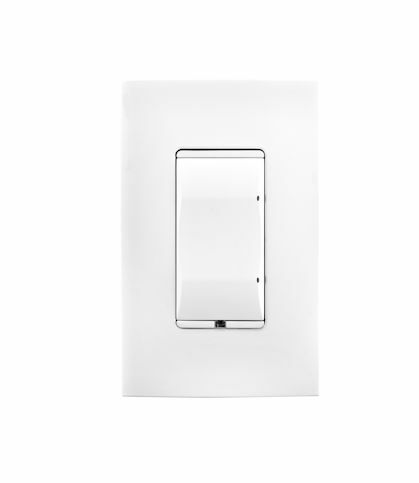 The Wireless Switch also handles high in-rush loads such as fountain pumps or large banks of fluorescent lights and can be used to switch wall outlets. Available in 9 stylish colors and finishes. 120V/277V or 240V.